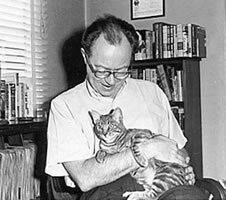 Anthony Boucher (born William Anthony Parker White) was an American science fiction editor and author of mystery novels and short stories. He was particularly influential as an editor. Between 1942 and 1947 he acted as reviewer of mostly mystery fiction for the San Francisco Chronicle. In addition to Anthony Boucher, White also employed the pseudonym H. H. Holmes, which was the name of a late-19th-century American serial killer. 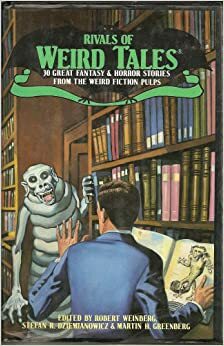 CLICK HERE FOR MORE TITLES BY ANTHONY BOUCHER. 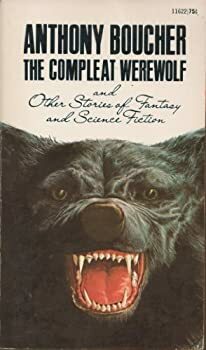 The Compleat Werewolf and Other Stories of Fantasy and Science Fiction gathers together 10 short stories and novellas from the pen of Anthony Boucher, all of which originally appeared in various pulp magazines (such as Unknown Worlds, Adventure Magazine, Astounding Science Fiction, Weird Tales and Thrilling Wonder Stories) from 1941-'45. Boucher, whose real name was William Anthony Parker White, was a man of many talents, and during his career, which lasted from the early '40s to the late '50s, he worked as a magazine editor, a book reviewer (for The New York Times and New York Herald Tribune) and an author of science fiction, horror and mystery.